הציפויים עמידי החום של פליים קונטרול, ®TemperKote, הנם צבעים בעלי גוון יציב, שנועדו לעמידה בטמפרטורות של עד 1500 מעלות צלסיוס. ציפויי ®TemperKote, הנם ציפויי ההגנה המובילים בתעשייה העולמית ומותאמים לעבודה בסביבות קורוזיביות תוך מתן גימור דקורטיבי לרוב משטחי המתכת. ליין המוצרים המושלם הכולל צבעי יסוד וצבעים עליונים המבטיחים פתרון לכל צורך בתחומי טמפרטורות שונים. הציפויים עמידי החום של ®TemperKote, מותאמים לכל סוגי היישומים התעשייתיים כולל בבתי זיקוק, תחנות חשמל, טורבינות, טנקים, מחליפי חום, תנורים, יישומי רכב וכל סוג של ציפויי מתכת הנחשפים לחום גבוהה במהלך השימוש. – Hi-Heat® stable colors. Forms tough, durable finish which is heat, moisture and chemical resistant. – All TemperKote® products can be used over zinc or zinc rich products. – For maximum corrosion resistance in severe environments, use TemperKote Universal Primer or the new TemperKote Zinc Primer. – 17 standard colors, including 5 safety colors. – TemperKote 600HS can be applied to hot surfaces up to 300ºF. – To be used on surfaces which will not exceed 1200ºF. – TemperKote 1000HS and TemperKote 1000HS HS Primer can be applied to hot surfaces from 250ºF up to 500ºF. – 1000 – air dry, cures in service; for ultimate hardness, heat cure for 1 hour @ 350ºF. – 1000HS – Tacky until surface temperature reaches 250ºF. Flame Control TemperKote 1400H Industrial Hi-Heat Coatings are based on 100% silicone resin with special ceramic colorants and additives. The coating air dries within 30 minutes and can ship in the “air dry” state in 24 hours. Avoid mechanical abrasion when in air dry state. For optimum hardness a heat cure of 350F for one hour is needed, however no complex post heat curing is necessary. TemperKote 1400H in the air dried state will cure when the coated equipment is placed in service. Special pigments are utilized to achieve maximum heat resistant properties and color stability. 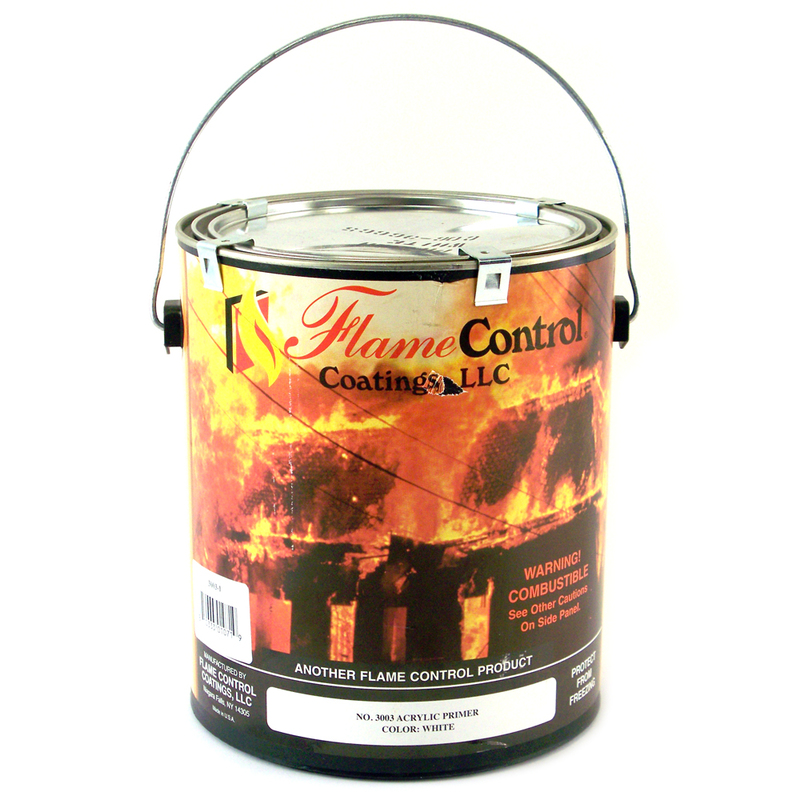 This coating is able to withstand severe thermal cycling to 1400F and can be applied directly to clean steel. It has the unique ability to be handled in the air dry state. It has good color stability to 1000F; Black to 1400F, excellent heat resistant properties, excellent weathering characteristics and good corrosion protection. – High-Build coating designed to prevent corrosion of metal surfaces under thermal insulation. Withstands severe thermal cyclic conditions to 1200ºF, acidic and basic insulation types. – Prevents chloride induced stress corrosion cracking of stainless steels under thermal insulation. – To be used on surfaces which will not exceed 1200ºF in service. Can be applied to surfaces from ambient to 400ºF. – Comes in gray and red oxide colors. – A water-based coating that forms a tough, durable finish which is heat, moisture and chemical resistant. – To be used on surfaces which will not exceed 450ºF. – 14 standard colors, plus black and white temperature stable colors.